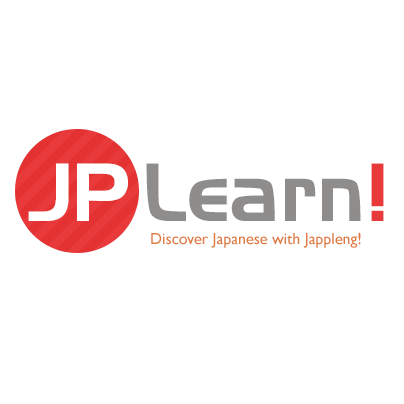 In Lesson 2 we have briefly introduced Hiragana and its history and now we will continue by eploring the Hiragana writing system. 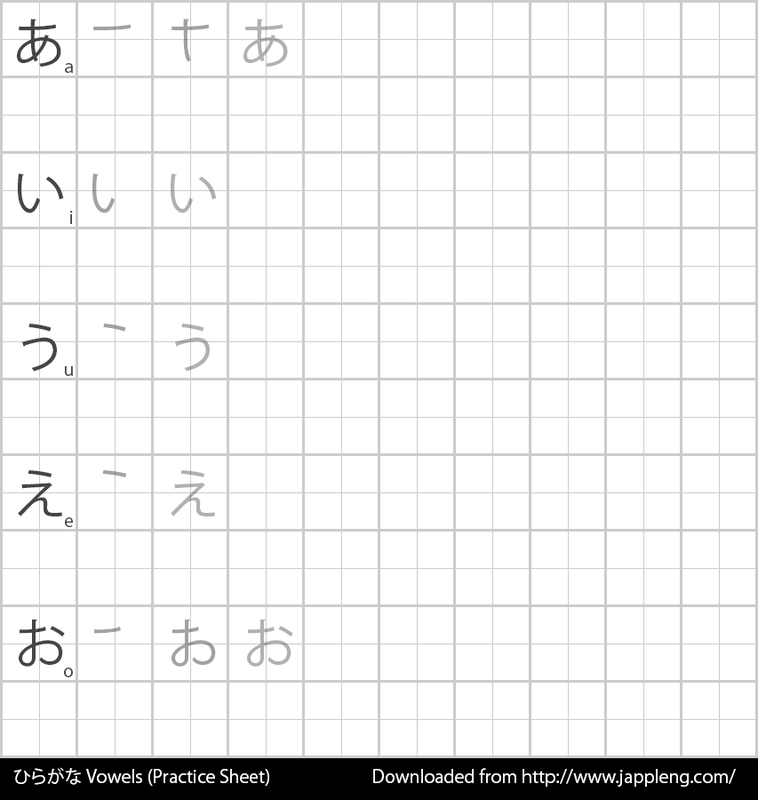 We will explore Hiragana characters, stroke order, and how to write the first 10 hiragana characters. Please be ready to print sample sheets to trace over and write on paper. You don’t need to print, however it may be beneficial to do so. Hiragana (ひらがな) was introduced around 4th century AD (at the best of our knowledge) when women were forbidden to write in Kanji but not forbidden to study it. It eventually became the standard writing method used in Japan and that remains true today more than ever. Hiragana is generally first learned before Katakana or Kanji because it is used as the base to learn Kanji, and Katakana is usually used with foreign words and names. Hiragana is also fairly simple as it only contains 46 base characters. Let’s take a look at these characters. At first glance, it may seem a little overwhelming to learn how to read and write all of these characters, but do not worry, within the next two-weeks you will learn how to read and write all of these characters and more. As you may have noticed, the chart seems to span from left to right, and some characters seem to be missing. Don’t feel deceived, this is done on purpose. If you count each kana one-by-one, there should be 46 as not all combinations exist. If you cannot see the chart above properly, please let us know in the course forums so that we can work together to find a solution. This "basic" chart is called the gojuuon (五十音) series and earlier mentioned in Lesson 2 as "Monographs" for those whom are linguists. This series contains the very basics of what you will need to learn the rest of the Kana. If you will, gojuuon is similar to the alphabet you already know. Beyond this series, imagine just adding accents to the alphabet to create new words or sounds. It is really easy and we’ll go through this step-by-step when the time is right. On the right there is a column for vowels which are similar to what exists in English, "A, I, U, E, O". This is the traditional pattern used when learning Japanese. At the top, there is a row depicting a consonant. "K, S, T, N, H, M, Y, R, W, N". Combine the consonant with the vowel to create a paired kana such as "K" + "A" = "KA か". You may use the chart as reference on what you can combine but take note that "n" (ん) can be used on its own as a consonant. An example of this would be in the word konnichiwa written as: こんにちは [ko][n][ni][chi][ha (pronounced as wa)]. Look at the chart and compare character by character and see what you find. It is believed that stroke order came about because brushes were traditionally used to write Japanese. The difference in stroke order can be obvious when writing Japanese as characters will not look the same. In English, stroke order may or may not be taught and people generally have different font styles, but in Japanese where stroke order is taught, the difference between characters can at times, render characters unreadable. Pay especially attention to the stroke order and your calligraphy will look fantastic. 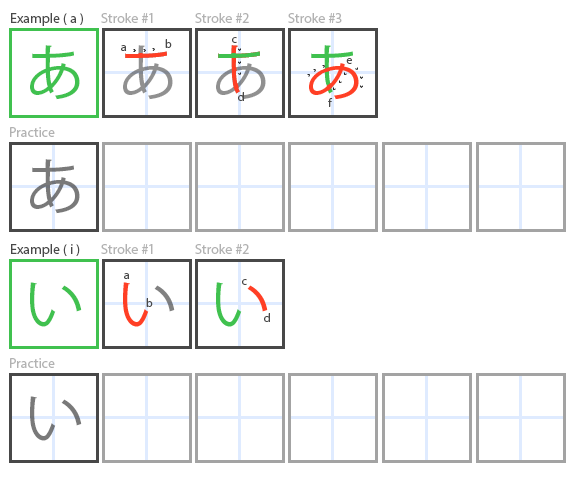 Stroke order for Hiragana is top-left to bottom-right. If both あ and い may have been fairly simple to understand and the remainder of the kana will be just as easy. We will provide writing practice printouts of the Vowels, and The column "K" for today’s homework. 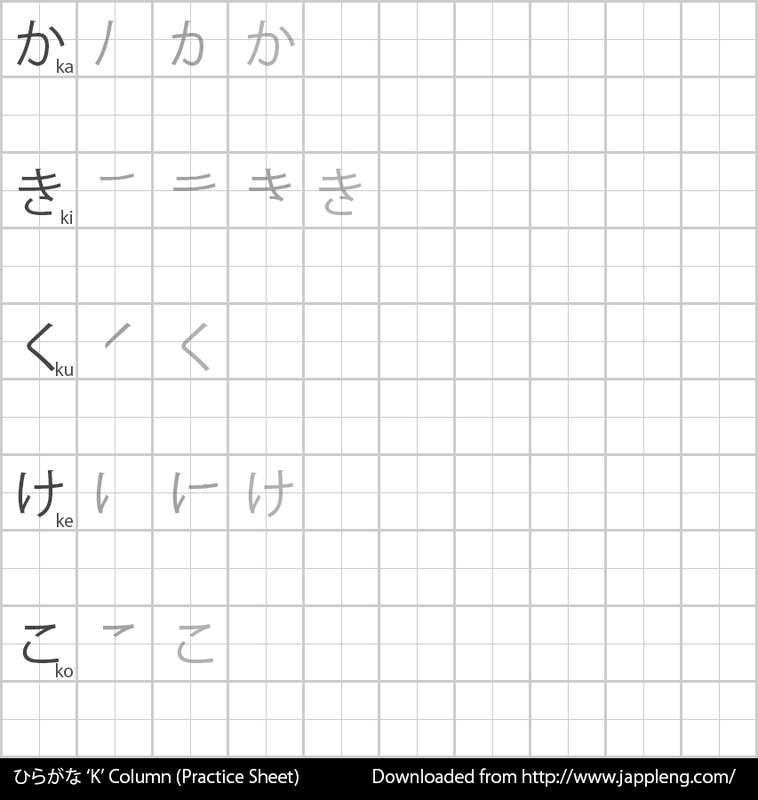 What may be exciting is that there will be practice words so from here on, you will be able to read and write some Japanese by the end of the lesson. Please be sure to complete your assignments and practice as much as you can. Lessons from here on will begin to use kana whenever possible, be sure to follow along the requirements.